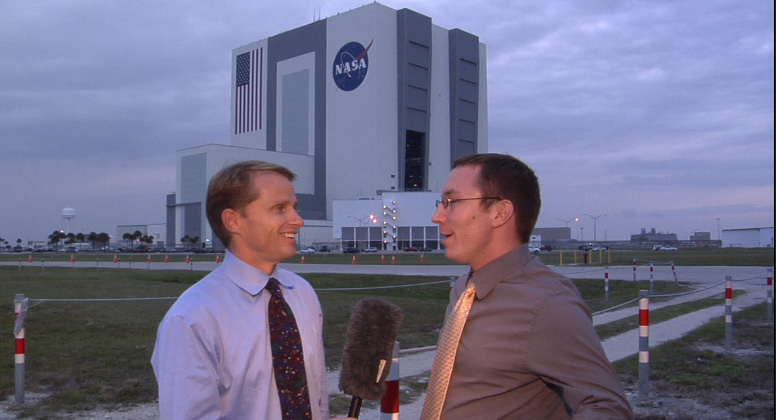 George Schellenger and Tim Bailey report from the Shuttle Landing Facility at NASA Kennedy Space Center on April 20, 2010. Space Shuttle Discovery landed after nearly 16 days in space during mission STS-131. You can also check out our latest video of the STS-131 Landing on Vimeo!. George and Tim take a broad look at President Obama’s trip to NASA from Space X to Orion. What’s in it for you? How can you get involved? This time on the Space Task Force. When it comes to space, states across America are looking to the future, ready for a piece of the action. We’ll take a look at Yuri’s Night, see why there’s extra space on board SpaceShipTwo and preview ISDC. Join us in the “No Gravity Zone” as we launch… right now. Is there enough space in space? George and Tim take on the big issues in this episode from colliding satellites to how it could impact a mission to the Hubble Space Telescope. Plus – the debut of new music for Yuri’s Night – expanded dates for Yuri’s Night and ISDC 2009. Come on in, the “No Gravity Zone” is open for business. 2007 X PRIZE Cup begins! The 2007 X PRIZE Cup kicks off today at Holloman Air Force Base in Alamogordo, NM! This year the X PRIZE Foundation has teamed up with the Holloman air show to have a joint “Air & Space Expo” instead of two separate events. One of the signature events at the Air & Space Expo will be the Northrop Grumman Lunar Lander Challenge, one of the NASA Centennial Challenges. Last year, only one competitor made it onto the field. This year there are rumors of up to nine teams competing for $2 million in prize money. The Space Task Force will give you updates after the competition. May the best teams win! Until our next live feed, be sure to check out our video update from the launch of STS-120!